Do you find yourself hitting the pillow each night forgetting to read your Bible or spending time in prayer? Every season of life seems to shift our schedules around, and finding time to do Bible study ends up being the last thing we think about each day. Do you feel stuck with your Bible study time? Shifting from one fad to another? Do you wish you had a QUICK method for studying the Bible? I would spend months trying to find a good rhythm and routine for my Bible reading, journaling, and prayer life. I had a hard time doing all THREE things. It seemed there were not enough minutes in the day. Do you spend hours looking through Pinterest? Are you endlessly searching through Facebook and Instagram? Do you have five minutes during your lunch break or at the end of the day? What if I told you Bible study and prayer could be done in FIVE minutes each day? Today is YOUR day to start reading and studying God’s Word! In only FIVE minutes a day you can begin a prayer life and developing a habit of reading and studying God’s Word. Journal your thoughts and prayers. If you need help implementing these steps, I have a five-step audio course just for YOU! In this course you will get five days of audio recordings delivered right to your inbox. The audio recordings are only 3-5 minutes in length. You can download them and listen to them any time. Even if your life is busy, you can listen to them during your lunch break or on your way to work in the mornings. 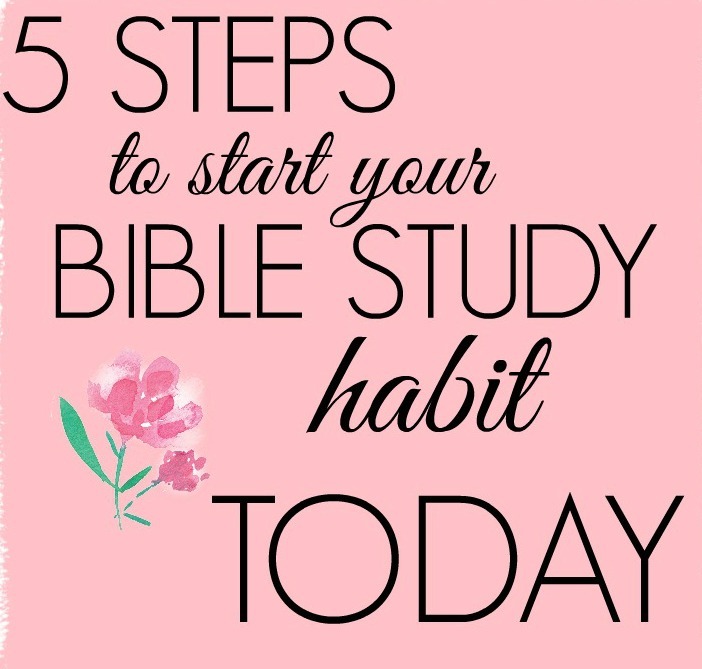 The 5 Steps to Start Your Bible Study Habit Audio course is perfect for the busy woman. A special audio course such as this one would cost upwards of $25 or more! I’m offering you this amazing course for only $5! My goal is to help you every step of the way as you dig deeper into God’s Word! I’m cheering you on! 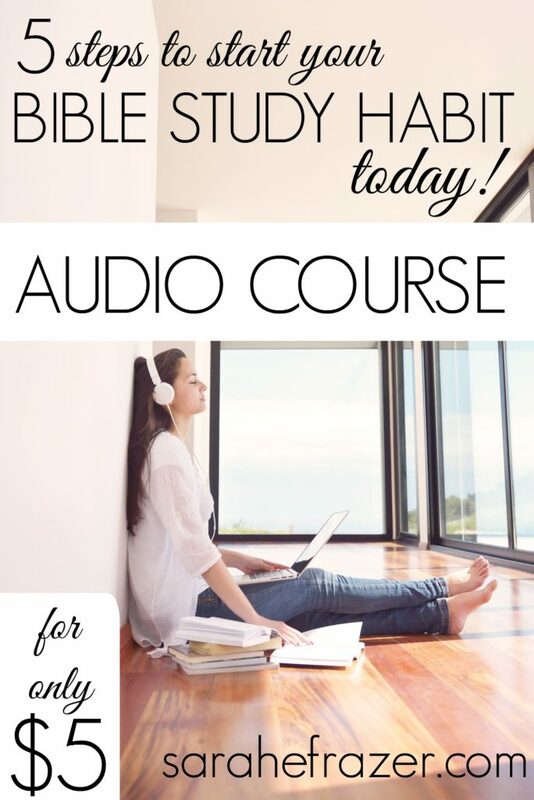 Click here to purchase my audio tutorials for starting your own Bible Study Habit for only $5!